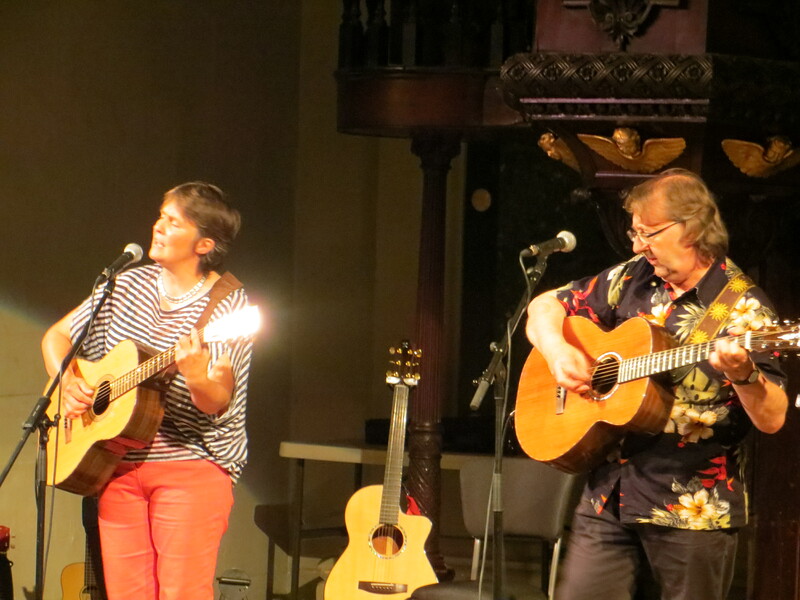 We played at The Star Folk Club in Glasgow at the end of August and WHAT a venue that was! It’s in a huge old church (deconsecrated), beautifully restored and the acoustics are amazing! The people there were pretty amazing too, gave us a warm welcome and in addition we had the very talented Zoe Bestel doing support for us. Great sound engineer, Joyce on hospitality and huge thanks to Tom for organising it all …. what more could we ask! On the Saturday night we returned to A’ The Airts in Sanquhar and were delighted to see a lot of old friends there. It’s a great venue with a small team of dedicated staff and volunteers who help to run the Arts Centre. Thanks to Hugh, Moira and Mark who did the support for us. Next stop … Wath Folk Club on Sunday 30th September .. love to see you there if you can make it.